Hunter is 18.5 months old. 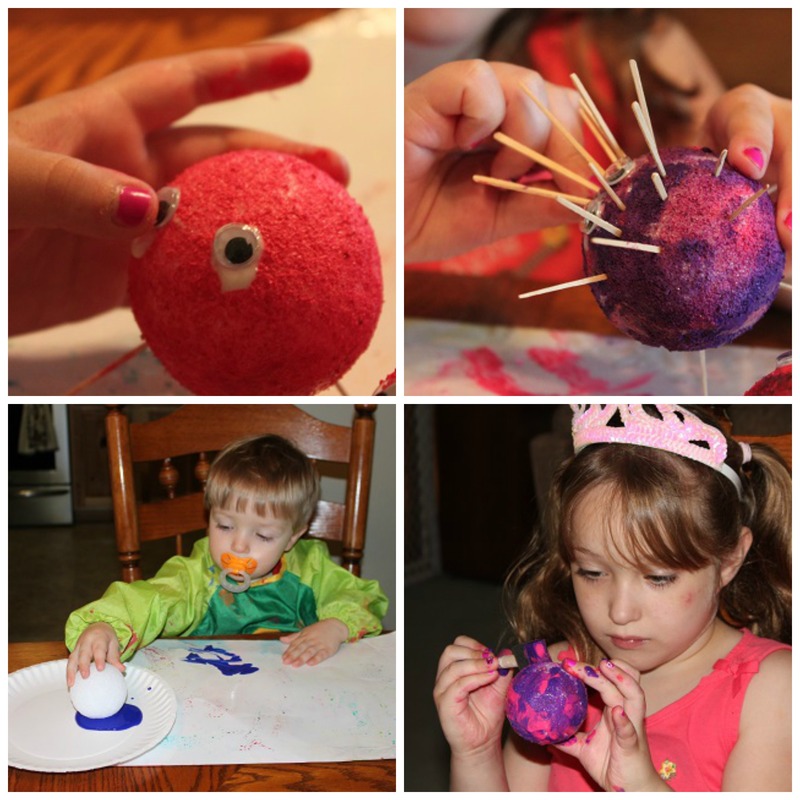 It’s been a few weeks since I have done a Tot School post. We have been so busy enjoying summer that I just haven’t had time. So, here are some of the things we have been working on over the last few weeks. 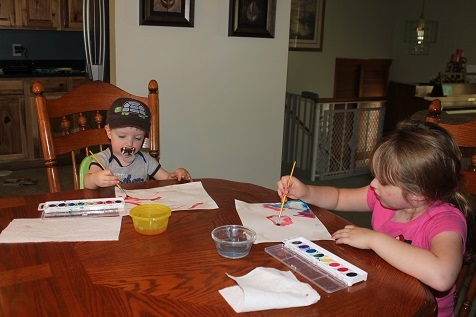 For the 4th of July we made some cute pictures, using glue to create stars that resisted water colors when the kids painted. See the full post here. 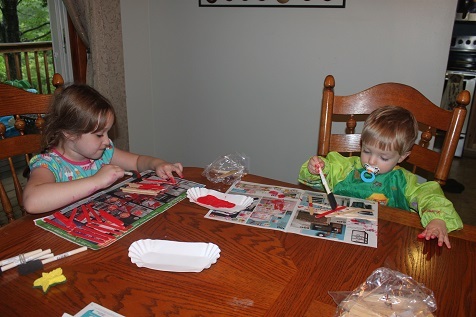 Hailey and Hunter worked really hard and made some utensil holders that we used at our July 4th party- they turned out super cute and you can see them here. 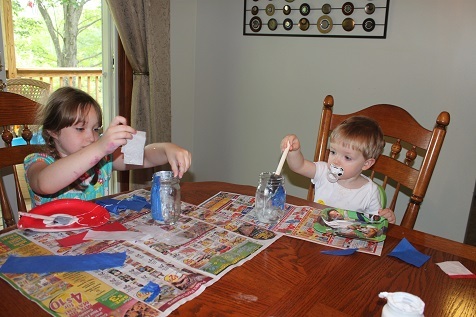 This was my favorite 4th of July activity- we made candle jars and they turned out so cute. You can see the finished project here. 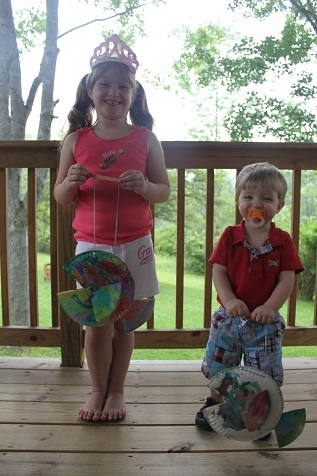 They were perfect for decorations at our July 4th party. 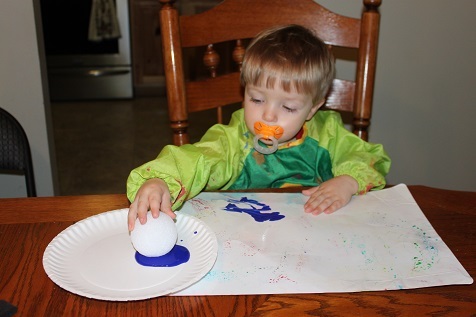 This week we started an ocean/beach theme and here Hunter is working on a spiny sea creature. You can see the finished sea creatures here. 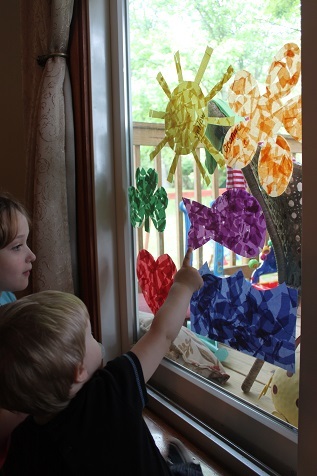 Hunter also worked on making a super cute Rainbow Fish- you can see the whole post here. The color Hunter is learning is purple, so he made a purple suncatcher to add to our collection. 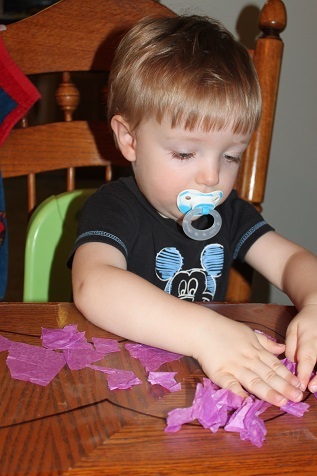 Hunter finding the purple fish he made.